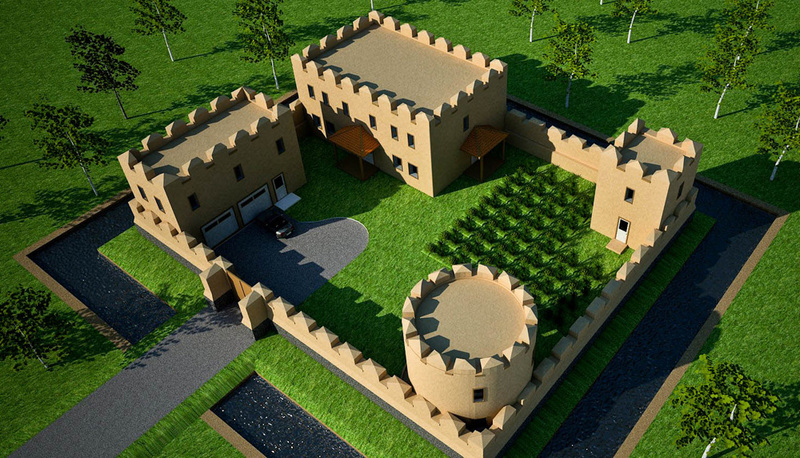 My goal with this project has been twofold: 1. showcase individual designs (which included some designs that have been on the drawing board for months), and 2. combine them into a self sustaining, fortified homestead, where a group of 5-20 people could weather economic and social upheaval. It is not designed to withstand a direct missile or tank attack by governments, or total nuclear Armageddon. All bets are off if things get that bad. 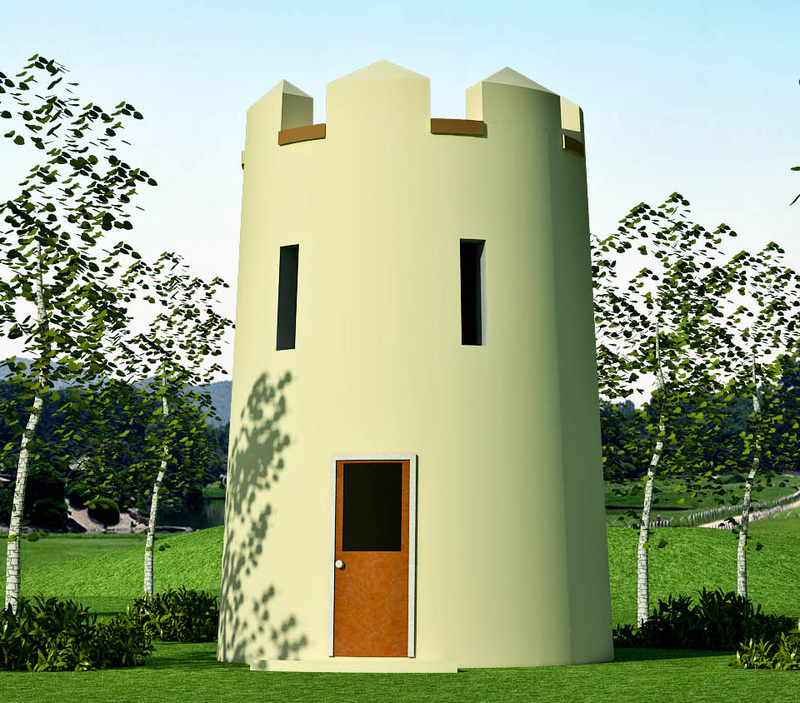 But the 10’ high by 3’ thick walls (at the base) should go a long way toward deterring attackers if things do unravel. Anyway, this has been an interesting project and I’m glad to see the high page rankings. It’s definitely been a lot of work. 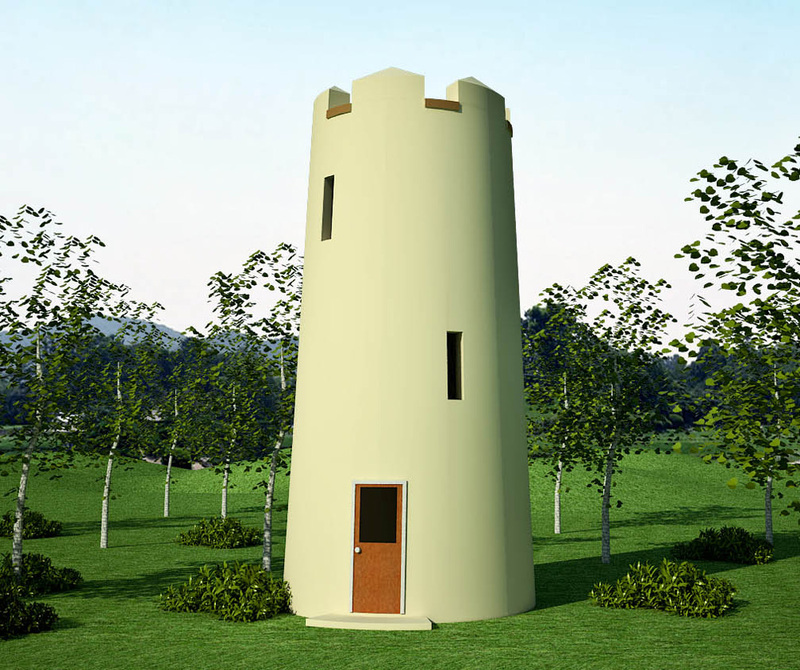 – The castle consists of four structures – Custom Chonburi main residence, Two-story Roundhouse Above Survival Shelter guesthouse/office, Carriage House with second floor garage apartment, Guard Tower tool shed. – All structures are also available with more standard roof designs at no extra charge (example: trussed gable roofs). 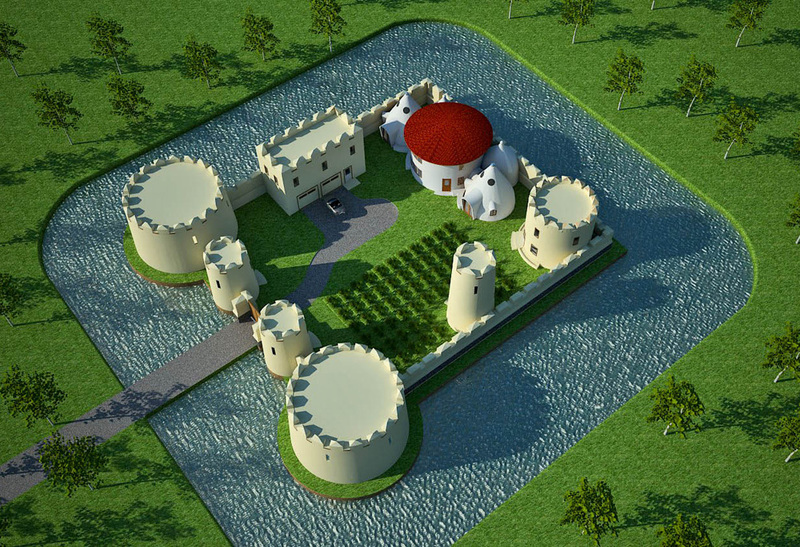 – Due to a lack of protective roof overhangs, this castle is best suited to dry climates, although a reader pointed out how similar castles have stood the test of time in European climates. – All plans can be modified for a modest fee. Just email me at strawhouses [at] yahoo.com. 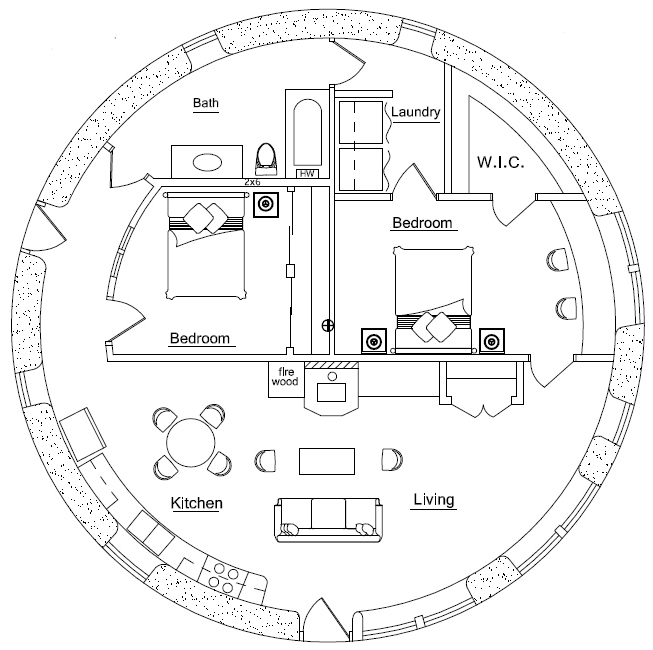 This is nearly the same design as my 33’ (10m) 2-bedroom Roundhouse except the roof. The walls have a slight taper to create a castle appearance for the Dome Fort I’m currently designing. In addition, a second floor with slot windows has been added. Description: 10 meters (33’) diameter is the maximum size of a round earthbag structure before needing buttressing (unless you use reinforced earthbags). This spacious design features a large master bedroom with desk and walk-in closet, efficient kitchen and south-facing window wall for excellent solar gain. 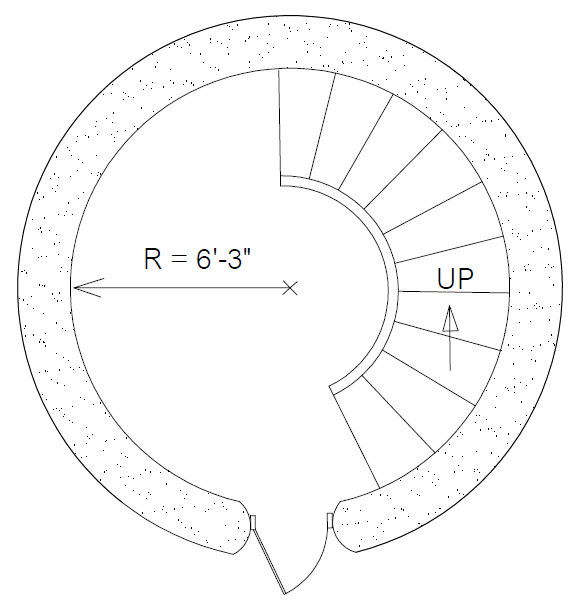 This 20′ interior diameter, 314 sq. 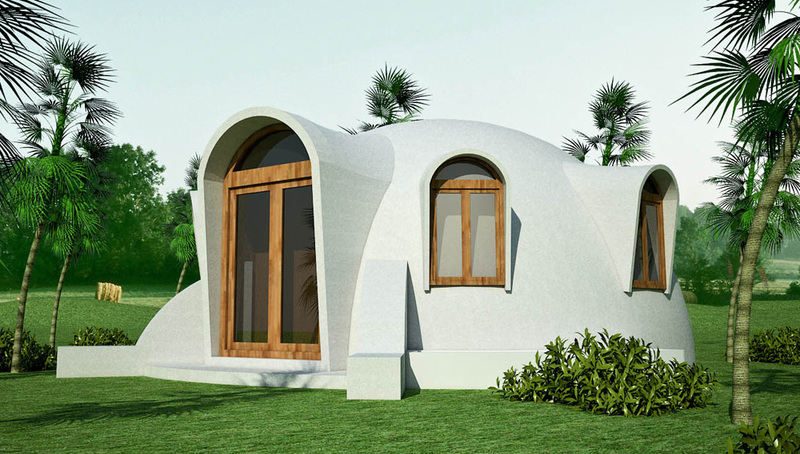 ft. design is my proposed solution for houses that need to withstand repeat hurricanes. 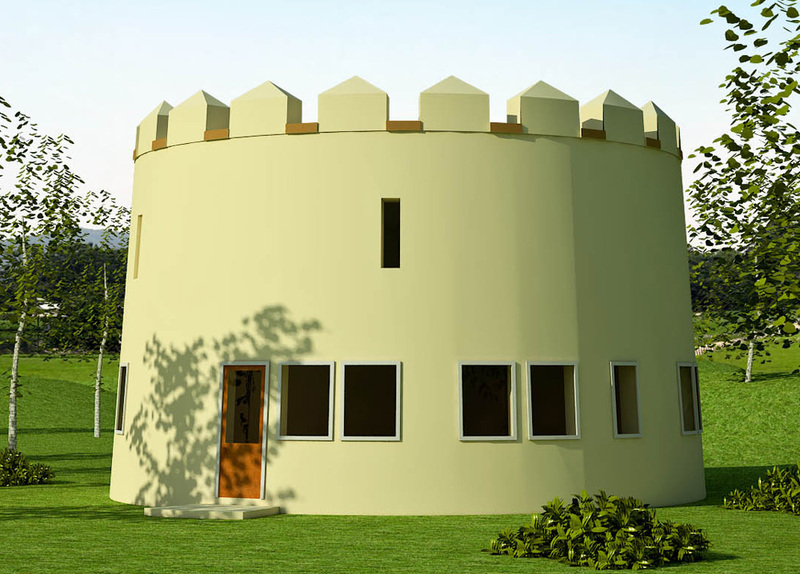 See How to Build the Strongest Buildings That Can Last Centuries for more details. 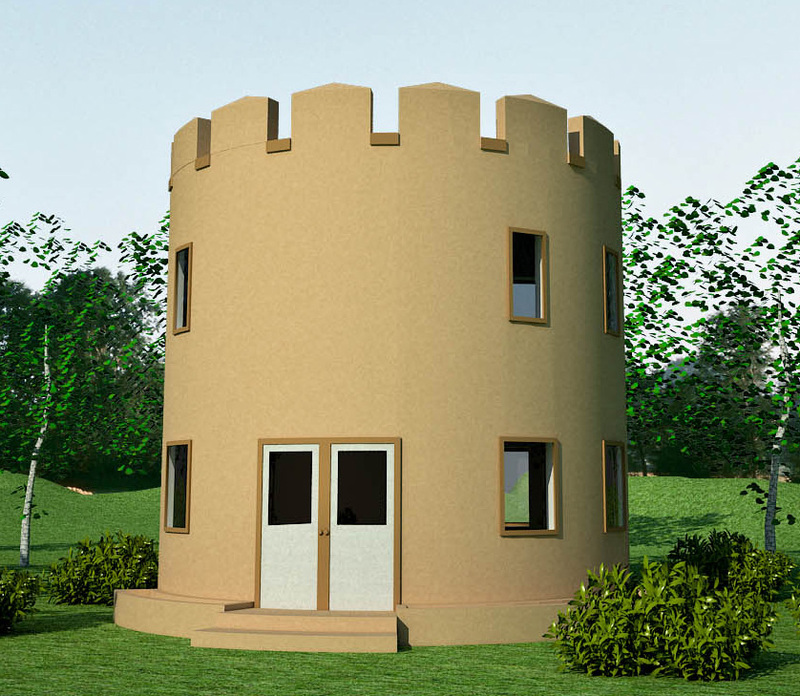 Features include: lexan windows with removable window and door shutters, monolithic geopolymer slab floor that’s integrated with the walls, build on high ground, plastic mesh that won’t rust, geopolymer plaster both sides, geopolymer pumicecrete or geopolymer perlite fill. Integrating the slab and dome and building on a rubble trench is ideal for seismic zones. 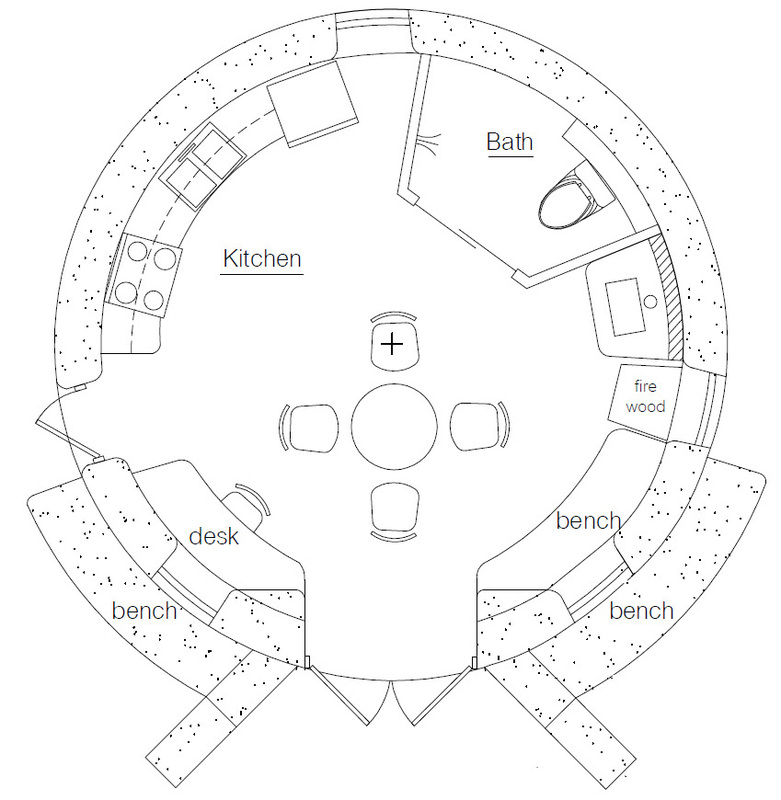 In an earthquake, the building would slide back and forth somewhat like an upside down cereal bowl on a kitchen table (meaning the whole house remains intact as one shell). 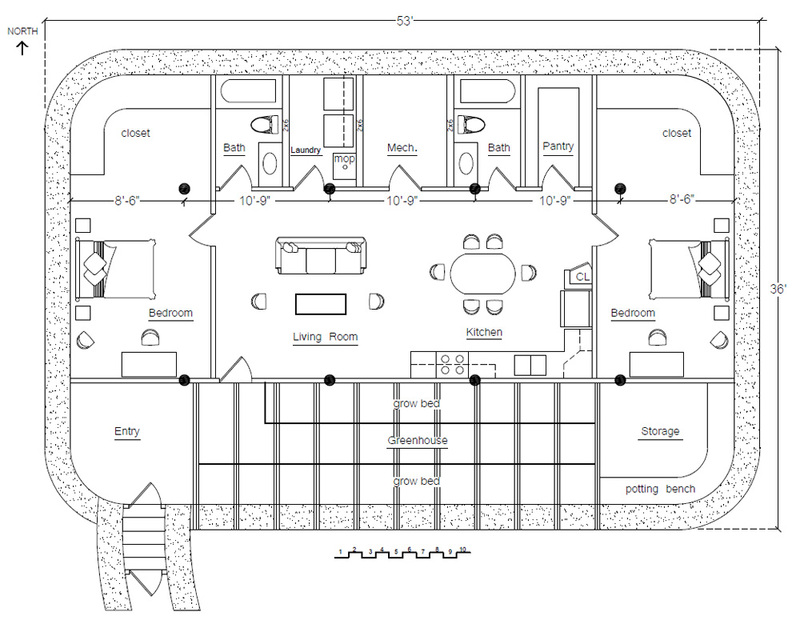 The design will have to be tweaked for individual homeowner needs, and some details worked out with the engineer. Note how a woodstove is shown to reach a wider audience, even though it’s probably not needed in Florida. The woodstove could be replaced with an emergency water storage and filtration system, etc. A fold-out bed saves space. Please email me and we’ll work out the details to fit your needs.